This proposed new retirement living residential site is located in Ludlow, Shropshire. The works will comprise of demolishing the existing redundant apartments and construction of brand new apartments and bungalows for the elderly / retired community. 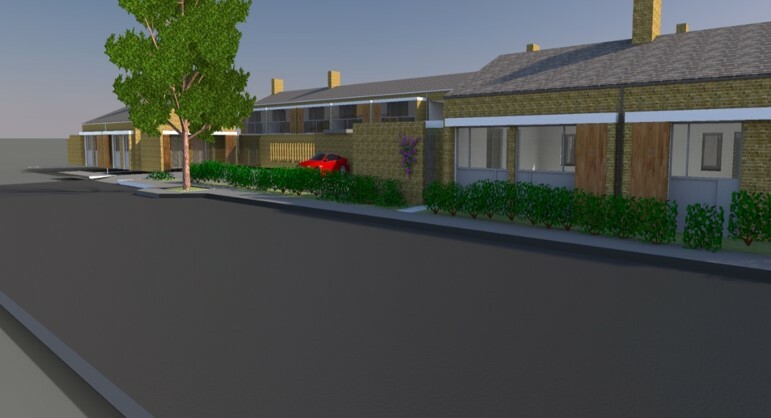 A mix of modern flats and bungalows for over 55s; winter balconies; mobility scooters / wheelchair storage; highly sustainable build for high quality retirement living. Fellows project brief was to ensure the Client left its ‘mark’ within Shropshire. Our Client wished to achieve this through an inspirational and desirable design and a building function that encouraged integration between tenants. As such Fellows worked closely with the design team to ensure that a balance was kept between an aesthetically pleasing, usable building, and affordable costs. As cost consultants, Fellows worked closely with the design team to ensure that best value was achieved through consideration of differing construction methods.